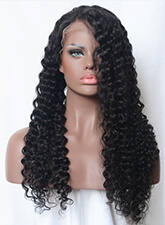 Sew in weave is currently the most popular way to to apply hair extensions. So how to make sew in weave look more natural? Today Dsoar will share some tips to make your hair more attractive! If you know the texture of your natural hair, you should know which hair can be fully blended with your natural hair. Buy hair that is similar to your hair texture. If your natural texture is between two different types of extensions available, it is common practice to mix two similar textures to give the hair a more natural look and feel. Virgin hair is healthy, shiny and have no chemical treatment.Virgin hair reacts to heat the same way your natural hair will. Repeated use of thermal styling tools will cause hair is damaged and frayed extensions. Instead of curling irons, try a rod set. It stretches out that cuticle and makes the hair nice and shiny while also giving your hair full volume. If you buy virgin hair, you have to look after it like natural hair to keep it fresh. After washing the fabric, should be properly dry, to prevent wet hair caused by mildew and odour. If you want to leave your entire hair on your hair, or if your hair is short, make sure you have small clips on your hands to prevent the braid from accidentally grabbing some of the hair that should be discarded, making it easier to weave. If all the hair sew in, you can start weaving on the left or right eyebrow. It is recommended to work around the head and always work around the head towards the crown. Sew in hair bundles increase the amount and volume of hair. If you buy more hair, you may look unnatural. So, when you buy, you have to take into account your actual situation. DSoar offers 2 pcs/Pack, 3 pcs/Pack and 4 pcs/Pack for you to choose from. For the bonding technique, you first must mold your natural hair in place with gel and then apply a bonding shield to provide a protective barrier between the glue and your natural hair. Not only is this prep process time consuming, all these “protective barriers” deny your scalp the air it needs to breathe. Sew in hair does not have these same disadvantages. As long as you don't sew your tracks too tightly, you shouldn't be hurt by any hair or scalp. 1.Does sew in hair look natural? Weaving hair naturally depends on several conditions: the experience of the barber, the quality of the weaving installation work, and the final cut. If you want sew in weave to look natural and last a long time, don't buy cheap synthetic hair that is easy to fall off and tangled. Usually maintenance is also very important,the good duration of the maintenance will be longer. 2.How can hair remain healthy while installing with a sew in? 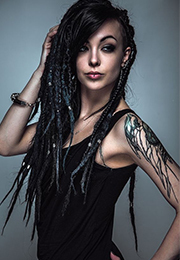 The key to keeping your hair healthy while wearing hair extensions is to make sure it’s healthy before your install. Getting regular steam/deep conditioning treatments prior to and during your install accompanied by a trim will preserve your healthy hair and encourage growth. 3.How often should i wash my hair? Choose a shampoo that does not contain sulfate and wash it once in two weeks. If you need it, you can add it up to once. 1. Wash your hair before weaving and avoid using any products. 3. Use a good front or seal to give you a natural hairline without having to leave any hair of your own. 4. The scorpion near the edge of the hair should not be too tight. Dsoar offers a wide range of high quality different types of hair for you to choose from. 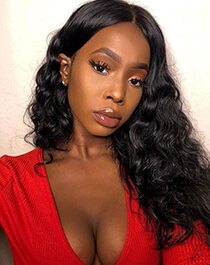 The main sources are Brazilian, Peruvian, Malayzian,Indian hair.If you don't know anything about the sew in weave process, please feel free to contact us. We will serve you 24 hours a day. 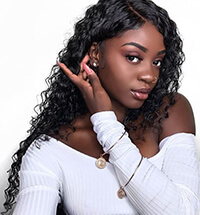 We offer the best human hair weave to suit your needs, and there are plenty of coupons to choose from to help you save a lot of money. Simply enter the discount code at the time of purchase. Your satisfaction makes us the greatest pursuit.